Next, select the iPhone to be serviced, select Battery, Power, and Charging, and finally select Battery Replacement. Next, select Bring in for Repair and specify your location and carrier. A list will appear with nearby Apple Stores and Apple Authorized Service Providers. To schedule an appointment, click on a store and choose an available 15-minute time slot, which reflects the time you are expected to arrive by. 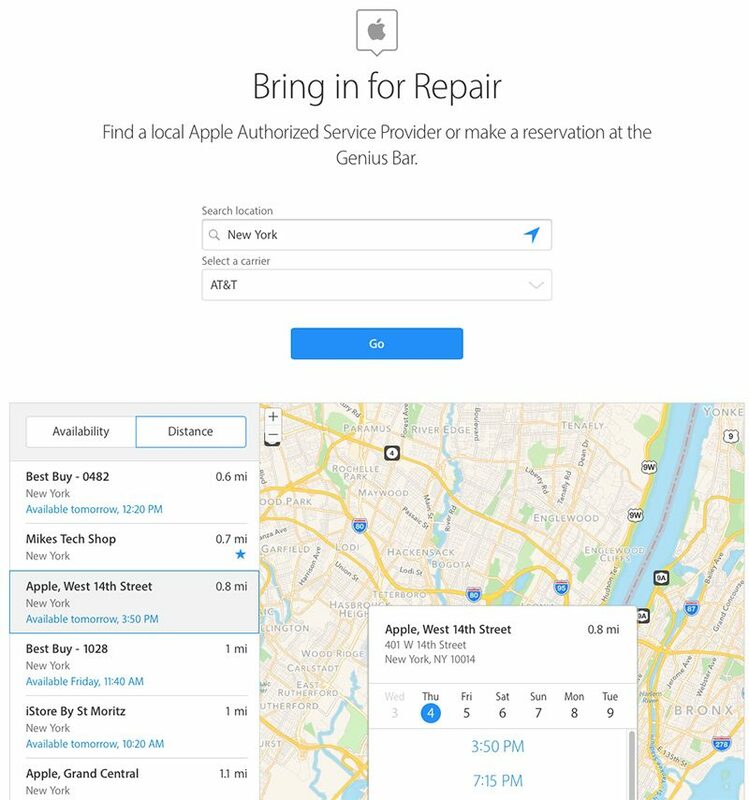 It's worth noting that many Apple Stores allow walk-in customers to wait for a Genius Bar appointment on the spot, but only if the queue is short enough, so booking a reservation in advance is recommended. When you arrive at an Apple Store, find an employee holding an iPad, who should be able to check you into your Genius Bar appointment. If you chose a service provider instead, ask a staff member for help. 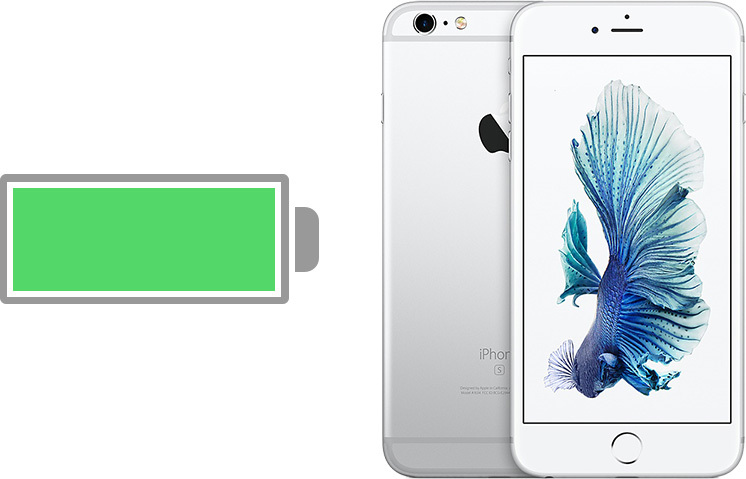 If the Apple Store or Apple Authorized Service Provider has replacement batteries in stock, the process should be completed within hours, allowing you to walk out with your iPhone on the same day. An invoice will be provided for the $29 fee, plus any local taxes, to be paid upon completion of the replacement. Apple in an internal document obtained by MacRumors said customers are entitled to a $29 battery replacement "regardless of diagnostic result," and it doesn't matter if the iPhone is no longer covered by Apple's one-year limited warranty or extended AppleCare+ plan to qualify for the price reduction. The internal document also stated that customers may be eligible for a refund if they replaced their iPhone battery for a higher price. We've heard these requests are handled exclusively by Apple Support, and only for replacements completed on or after December 14, 2017. Your mileage may vary. Be advised that Apple said initial supplies of replacement batteries for some iPhone models may be limited, and we've heard that some of its stores and repair shops are currently out of stock. Apple doesn't appear to be notifying customers about the inventory shortages until they arrive for their appointment. In those cases, we've heard that Apple has advised customers to return at a later date, once they have restocked replacement batteries. And, in some cases, the store may offer the option to mail the iPhone to an Apple Repair Center to have the battery replaced, but the process can take several business days. Another aspect to consider is that given Apple reduced its price for iPhone battery replacements so recently, an influx of customers are rushing to take advantage of the deal, which can result in hours-long waits at some stores. Keep in mind that the discount is being offered for an entire year. 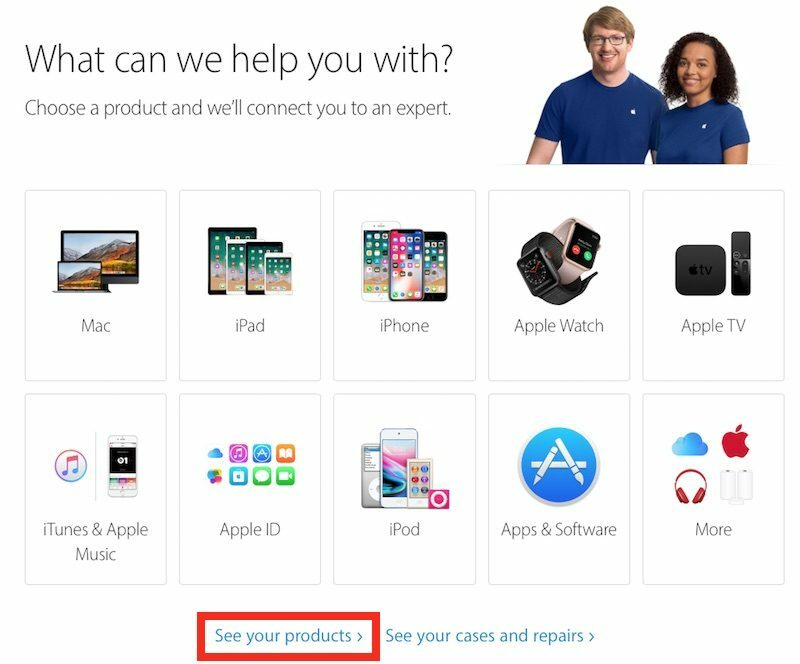 If you don't live near an Apple Store, a Send in for Repair option is also available on Apple's website in certain regions. Apple charges the $29 replacement fee upfront, plus $6.95 for shipping, and any local taxes, and then sends you a postage paid box to send them your iPhone. Apple quotes a 5-9 business day turnaround time. 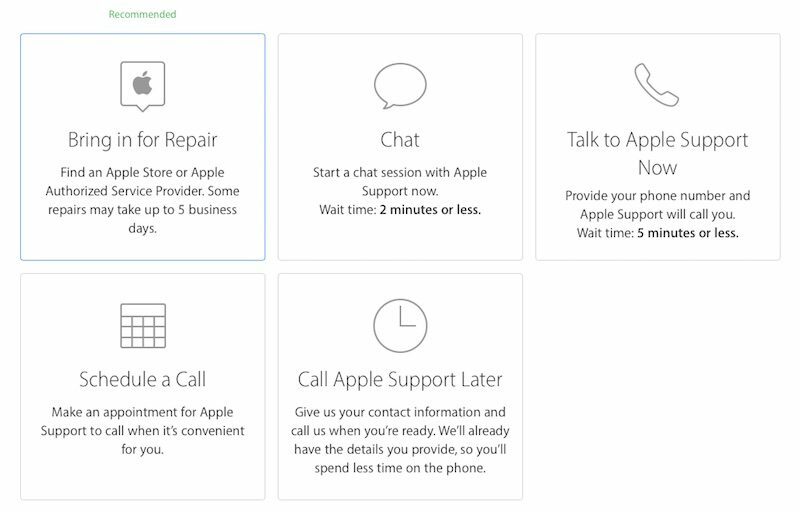 To mail in your iPhone, head to the Contact Apple Support page, click on See Your Products, sign in to your Apple ID account, select the iPhone to be serviced, select Battery, Power, and Charging, and finally select Battery Replacement. Next, select Send in for Repair and fill in your shipping and billing information. The $29 price applies to customers in the United States and varies in other countries based on local currencies. For instance, the fee is $39 in Australia, $35 in Canada, £25 in the United Kingdom, and €29 in France, Germany, Italy, and Spain. Coconut battery runs on my MAC. You plug the iPhone into the mac and you can check the battery of the mac as well as the iPhone.